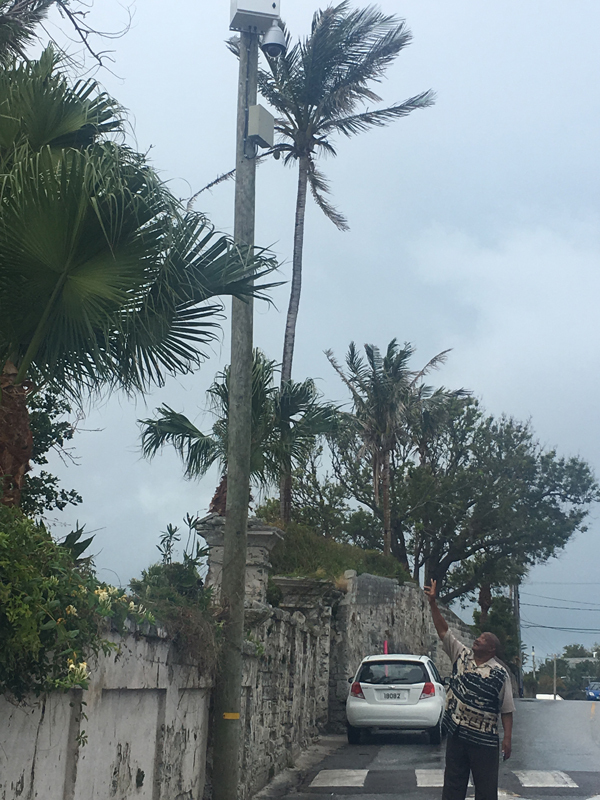 “The One Bermuda Alliance made a commitment to increase CCTV coverage across the island, especially in St. George’s,” St. George’s MPs Nandi Outerbridge and Kenny Bascome said today. “That promise became a reality today with the installation of the first of several new cameras in the old town. 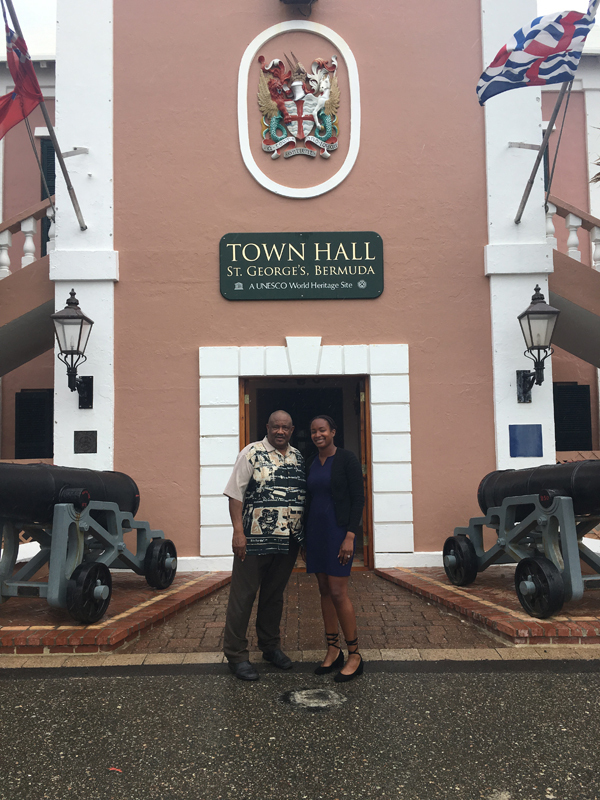 We are pleased to work with the Corporation of St. George’s as we continue to revitalize the town, making it safer for residents and visitors alike,” the two east end MPs added. Where’s our police station ? Kid Rock is covering up the lies of the OBA with this lame announcement ! What do u need a police station for? There is a Police Station 5min away. 5 min is a lot of time after a robbery. So why did the PLP close it down?????? But if there is going to be all this revitalization in St G.
Criminals don’t care about cameras. Last minute desperate move after failing to keep their promise to open de Police Station. But knowing my people, throw them a bone to keep them quiet. Was cameras already there but not working and just wondering don’t the banjs have cameras around their buildings and on the street. Not wise to talk about money after this Americas Cup set up. A whole year after it was actually approved and just in time for the upcoming election. Well needed but oh the timing. A police presence at a station in the town is needed. With all of the tourists, yachtsmen and residents, waiting for police to come across the bridge from Southside just isn’t acceptable. The new lights will help … but only after the deed is done. We need to be more pro-active and a policeman walking the beat does this. Many of the issues of concern are happening right outside of the old police station building so perhaps the next camera can go there. How long do you think it takes to get from Somerset Police Station to Dockyard?? So you make an election promise and you implement it the day before Parliament is likely to be dissolved for a new election, and you want kudos?